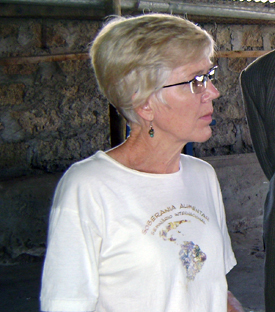 Kathy Colverson volunteered in Kenya to help make improvements to the poultry market. Kathy Colverson is passionate about volunteering and it shows in the enthusiasm she displays when recounting her own experiences with the USAID John Ogonowski and Doug Bereuter Farmer-to-Farmer program. Colverson has twice taken time away from her job as associate director of program development at the University of Florida’s International Center to offer her experience and assistance to Winrock’s Partnership for Safe Poultry in Kenya program. She used her expertise to help make improvements to the poultry value chain, encourage growth in the market, and assist in the creation of a National Poultry Improvement Plan. Winrock staff spoke with Colverson after her second volunteer trip to Kenya. Here is what she so graciously (and enthusiastically) shared. Because, I love it! Everyone in the world should be of service. If you can volunteer with people less fortunate and learn yourself, it’s a beautiful experience. Anytime I can contribute my skill set to helping disadvantaged or marginalized folks, it is always a valuable use of my time. 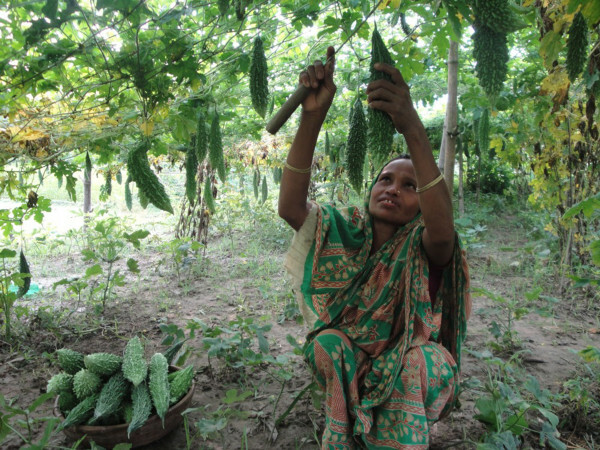 Also, I welcome any chance I have to work to benefit women; women are important to agriculture everywhere. What was the highlight of your volunteer assignments abroad? Kenya’s Minister of Livestock was supposed to make a cameo visit to our workshop. He got so interested in it that he came every day, for hours at a time. I think it’s because we used a participatory approach and he was so amazed by that approach that he couldn’t get enough of it. He really participated and enjoyed himself. And to get someone at that level to participate in that way, was really impressive. The Winrock staff are exceptional. They took care of my every need. For example, the staff in Kenya went out of their way to help me buy an instrument for my son. Now, my son is applying for Fullbright to go to Kenya. That is a complete circle. [The Winrock field staff] are the best trainers I’ve worked with in a long time. 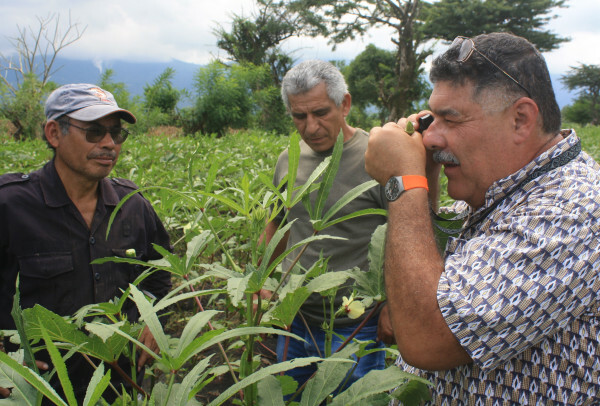 The world is a very small place and small farmers everywhere face many of the same challenges. There are so many similar issues, even with small farmers here in the United States. My assignments have helped me think about how we can learn from domestic as well as international farmers. Volunteering is an opportunity to go and engage person-to-person. That makes all the difference in the world. You see what they have to offer and they see what you have to offer. We all need to recognize that we are a component in making a difference. I believe everyone has something to offer; we just have to find out what it is.